Here is another great free magazine subscription. My nephew loves this one!! 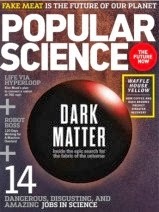 This time you can get a free subscription to Popular Science. This is from Mercury Magazines. It is completely free, and there are no automatic renewals. This will go fast! So, hurry! !